It’s getting hot outside, and if your home is without an air conditioner, you’re probably pretty uncomfortable. It’s time to stop what you’re doing and get a high quality air conditioner installed inside your house to keep your home and your family cool. 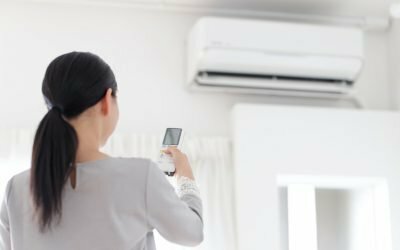 In addition to simply purchasing an AC unit, however, there are a lot more factors to be aware of when it comes to keeping your home at a reasonable temperature during the brutally hot summer. Don’t leave it on constantly — If you plan on being away from your home for at least half of the day, you should leave your AC units off. Though it will feel fantastic to come home to a nice cold house, you won’t feel all that fantastic once you see your energy bill. When you don’t need the AC running, keep it off. Contact a professional air conditioning company for maintenance and repairs — Air conditioning repair is an essential part of home ownership. Unless you’re fully trained on the ins and outs of HVAC units, you’re probably going to need a professional to have a look at your AC unit if something goes wrong. Only 42% of U.S. homeowners call a professional to perform routine maintenance on their air conditioners. Don’t try and fix these problems yourself; contact an experienced air conditioning company to utilize their professional air conditioning services. Keep your AC unit clean — Especially if you’re using a larger AC unit, you should regularly vacuum the fins of the unit with a soft-bristle brush. If you continually ignore your AC and let dirt and debris pile up, it won’t work as well and could end up costing you much more on your energy bills. Talk to a professional if you want to better understand how to effectively clean your AC units. If you’re in need of professional HVAC services like AC repair in Brandon, and you want to work with a trusted air conditioning company to improve your home’s energy efficiency or keep your family cool, give Complete Pro Air a call right away.